The Genius of Celani [Update #6 - Piantelli powder insight] 743.4% you did it! you share some stories/informa tion. I know my visitors would value your work. Here is a second source for a similar claim by Piantelli that is subsequent in time line to the one given to us on this by comment contributor Giorgio. If I understand Acoli65's proposal, it's not thermal conductivity but specific heat as a function of density that might affect the thermal transport by convection inside the cell. 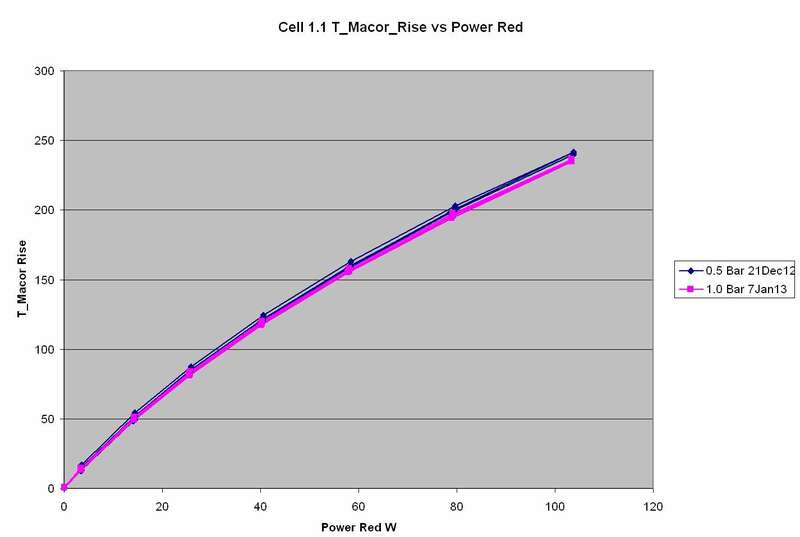 Here's some calibration data for cell 1.1 with a small amount of pressure dependence, less than half the current data for P_xs Confidence limits of this comparison are unknown due to changes in the instrumentation between calibration runs. Delta T from X_PS (if any) is minimal as well. A few percent of less thermal conductivity will have immediately an impact on the delta T.
I will really love to see X_PS but we without any doubts.